With Laserweld laser welding technology, there is no need to throw away worn or damaged mould parts - eliminating the large costs associated with retooling or tool duplication. 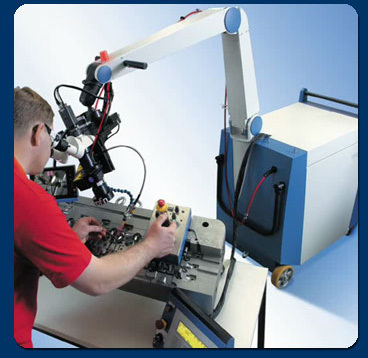 Laser welding also helps you with quicker response time to customer design changes and modifications. Another benefit of the pioneering laser welding technology manufacture process is increased welding efficiency and the total elimination of residual heat generation during the welding process. Able to produce welds as small as 0.5mm in diameter, the laser welding process is perfect for the smallest of part maufacture. All of this adds up to a unique and precision welding manufacture process that can be concentrated on delicate and intricate parts.